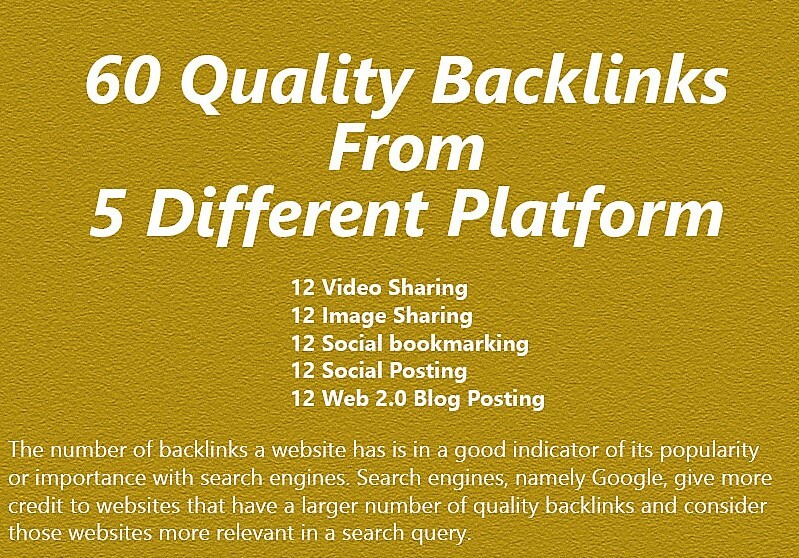 Skyrocket Your Ranking With Our 60 SEO Backlinks From 5 Different PlatformsSearch engines use backlinks to rank a web page’s importance by looking at how many outside links point to it and the quality of those links. Acquiring backlinks from one web page to another website in exchange for payment speeds the process of obtaining links and ensures the hyperlinked document quickly appears high on the list of results returned by a search engine. Anchor text backlinks are links that appear highlighted in a hypertext link. It’s the clickable text in a hyperlink that opens the target webpage. The words contained in the anchor text help search engines determine the ranking of the landing page.